Squash Coaching Blog: Technical. Tactical. Physical. To learn squash each of these 3 areas must be addressed, and in that order. As a beginner, firstly you must learn how to hold the racket and hit the ball (Technical skills). Then you should be introduced to some fundamental tactical information (how to begin a rally and how to win a point). Lastly you would be exposed to some very basic fitness drills in order to be physically able to survive a 1 minute game of squash! In order to improve your squash level, all of these aspects must be addressed. The greater your technical ability, the better your accuracy and consistency will be. The deeper your tactical awareness and understanding becomes, the more effective you will become on court. The more you develop your physical fitness, the harder you will be to break down. This cycle continues and continues and continues. You can never be too good at any aspect. But my question is: Which of these 3 aspects of squash is the most important? My first reaction is that it depends on the level of the player? For a beginner then definitely Technique is the most important aspect. If you can’t hit the ball then it’s irrelevant if you understand the deep intricacies of tactical play, or if you can run all day long without getting tired as you’ll never get a rally started. I want to assume that you are reading this as a player who can hit the ball and you have already reached a decent standard, whether that is playing in the internal leagues at your local club, representing your club in the regional squash leagues, or you’re a professional player. Which is the most important of the 3 aspects for you? Secondly, it depends on what situation you’re in. Are you in the middle of a match or are you practicing / training? This is very important to distinguish. 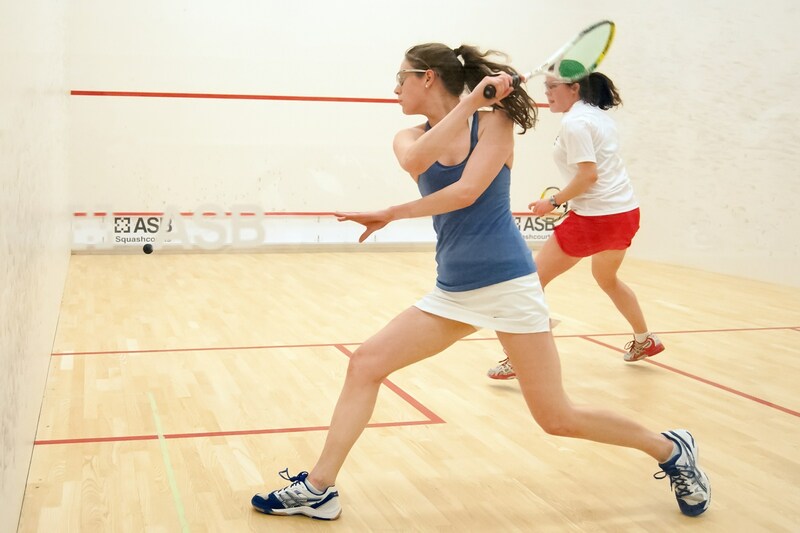 Training sessions (whilst still enjoyable) are primarily to focus on boosting your squash standard. This is the time to work on aspects you wish to improve. It is a time where you can repeat certain movements, reinforce patterns of play, analyse your technique on certain shots, experiment with new shots etc etc. Practice sessions are to do exactly that – practice – and you can work on anything you wish or have been directed to do so. It doesn’t matter if you make a mistake in practice. It is a learning environment, and we learn from mistakes. This is a perfect time to work on all aspects, strengths and weaknesses. Try to turn your strengths into super-strengths, and try to increase the level of your weakest areas so they are no longer ‘weak’, and no longer stand out to your opponents. Personally, I adhere to the philosophy of playing to your strengths. Yes, address your weaknesses, but so they are strong enough to support your strengths. Continue to dedicate most time to your strengths. It is these strengths which will make you feared as a player, and these strengths which will win you matches. If that’s honing your technique so you can adjust and hit any shot perfectly from any situation, then great. Or it may involve doing incredibly physical sessions, constantly striving to become, faster, stronger and more flexible. It could involve spending more hours watching PSA TV thinking about tactical changes, or developing tactical auto-responses on court, playing certain shots from certain situations – also great. Matches are those situations we all want to win. Squash players are naturally very competitive people, and of course you should want to win. Winning isn’t everything – but winning is good! There are two of the 3 areas of squash we can ignore now that we’re in the throws of a match, because nothing can change them now, and that’s technical and physical. You cannot change your technique mid-match for the better and you cannot improve your physical fitness. This simply leaves us with a possible change of tactics. I have seen many a player try to concentrate on their technique during a match in order to improve their performance – and it has always ended in an even worse performance. Matthew Syed put this well in his book Bounce. When he addresses the issue of ‘big game nerves’ he explains the phenomenal of losing confidence in your technical ability, and what is usually one smooth action which has been honed over many years in practice, now comes into doubt, and then becomes a series of actions trying to fuse together to make a whole. The second you break your technique down from one flowing, unconscious action, into 2, 3,or even 4 different steps then it simply highlights more that can go wrong. For example the squash swing can be just that, one swing involving not conscious thought which you have confidence in. You know you will connect with the ball cleanly and make it land where you want it to and at the desired speed; or…. it can be broken down into many smaller parts: the grip, the back-swing, the contact and the follow-through. Doesn’t that sound complicated, especially when you are making decisions in less than a second. In a match you have enough to react to, without bringing your technique into question. Your technique must remain automatic, the moment it moves from unconscious to conscious you are doomed. Tactics are the only aspect you can instantly adjust. Yes, like technique we all want to create certain responses in certain situations which are automatic and thoughtless, but there are still many shots in a rally which we do have time to consider, and possibly change from our ‘normal’. If you find yourself losing to someone you believe you could beat, then you could simply put it down to an ‘off day’ but surely that would be be extremely defeatist? Or you could have a small change in approach, alter your tactics slightly and before you know it you can find yourself dominating a match which was quickly running away from you. 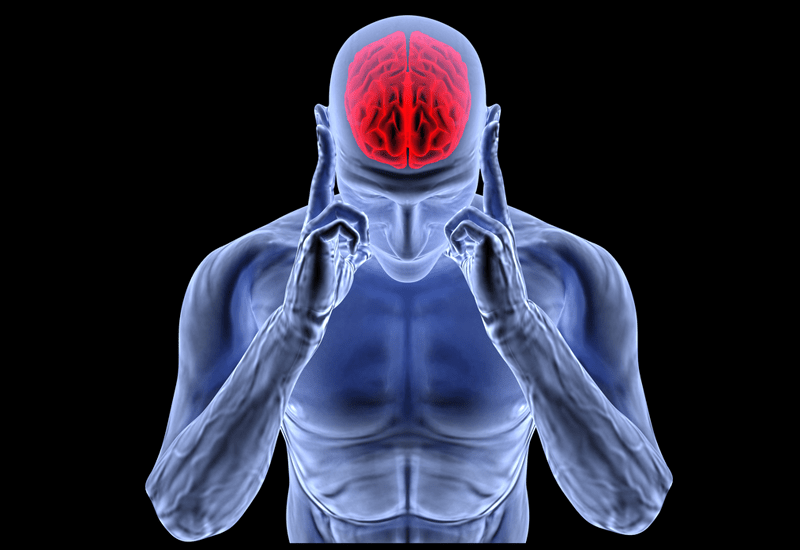 Another aspect to consider is the mental side – the psychology of our approach. This is MASSIVE. So much of elite sport is down to the mind. At the very top everybody seemingly has the same technical ability, has the same tactical knowledge, and has and incredible fitness level (even though the strongest physical attributes of each individual could be slightly different, the overall fitness of each player to perform at the top level would be very similar). My argument would be that this side would come under tactical understanding. Surely it’s tactical know-how to understand your own body and how to manage yourself, not just managing what your opponent is doing? I believe it is part of your tactics to control yourself before and during a match. Tactical knowledge undoubtedly improves with experience, but that involves learning about yourself and managing your thoughts. I would consider tactics to encompass the whole game situation affecting you, and that involves what you are feeling and doing, as well as what your opponent is feeling and doing. Players who are technically sound are great to watch and can seemingly control the ball effortlessly, and of course without any technical ability you cannot even begin to play squash. However, I feel this in the least important area of the 3. That may sound outrageous, but squash is a sport where many people have many different styles of swing. If you get your body in the correct position to play a shot, often the shot is quite easy, the hardest thing is to get into a good position and to get there with a clear idea of what shot you want to play. There are many cases of top players (I won’t name them!) with a questionable technique but they move well and are tactically aware, so therefore they can compete at an extremely high level. I have never seen a player reach a high level who is technically excellent, but lacking in tactical and physical prowess. I must say, in order to approach a squash shot in a good position (which makes playing a good shot considerably easier) obviously involves good movement, which isn’t purely down to physical fitness, as the movement in squash is incredibly technical, which is why ‘ghosting’ in essential to improvement at any level. So this is a big ‘head nod’ to the technical aspect, but movement naturally also involves the physical strength and speed of the individual. This moves me nicely on to the physical fitness side of squash, which I would place at number 2 on our list of importance. Squash is a brutal sport, and simply possessing great speed and stamina will a player a lot of matches. We all know how hard it is to play a someone who’s not great technically, but is fast enough to retrieve any drop shot, and has the stamina to run all day long. It’s daunting and intimidating. Number one on our list I would place tactics. Tactics has one major advantage – it can be worked on in practice and in match play, whereas the technical and physical sides of squash can only be improved ‘on the practice field’. These definitions come down to a tactical choice. Yes, the tactical choice could feel like they are led by the technical or physical. A technically confident player might find themselves as a shot-player, or someone not as adept technically but physically strong would often play an attritional game – but it is still a choice. A technically perfect player could just as well play a calm, sensible, counter-attacking style of squash, and a lesser technician could easily be a hot-headed shot-player, trying to hit whatever winners they can. Once we are past the beginner stage, I really feel it mainly comes down to choices which win and lose us matches. Especially the better we get, shot-selection becomes more and more important. As squash level increases, the ability gap between players narrows, meaning other factors play a bigger role – hence the physical and tactical attributes come more into play. I urge you to have a think about what type of player you are. Think about your tactics, and think about creating auto-responses (where you play certain shots in certain situations or from specific areas of the court). It is not bad to be predictable sometimes. It simplifies things, even when you’re in a tense match situation. Know your plan A and know your plan B. Don’t switch game plan lightly, but have a willingness to do so. By all means work on your technique in practice, but do not overdo it. If you can hit the shots you want to hit then you’re doing fine. Never doubt or alter your technique during a match. Always strive to increase your fitness levels, but know that when you turn up to a match that is it, they cannot be improved in an hour!